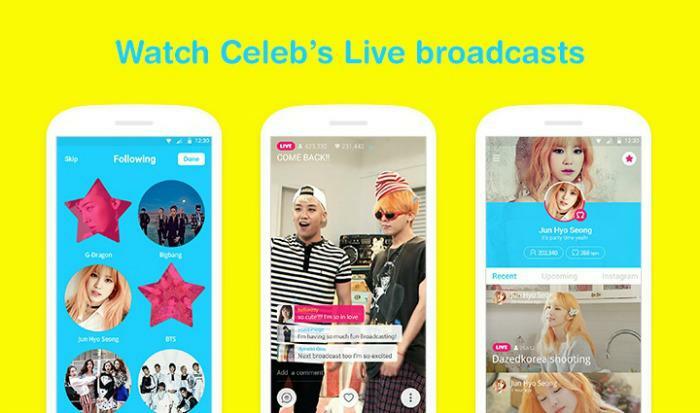 V app, a live-streaming video application featuring the hottest K-pop stars, is now available for all iOS and Android users worldwide. V app provides more stabilized service for global users to enjoy fluid communication with their favorite stars. Currently, 55 lineups of K-pop celebrities are signed up on the on-air schedule, including Big Bang, SM Town, Wonder Girls, 2PM, and Kara. Comprised of three categories – ‘Special Live,’ ‘App Live,’ and ‘Spot Live’ – V app offers exclusive videos of concerts and showcases, while revealing celebrities’ hidden personalities and talents through self-produced contents by the stars themselves. 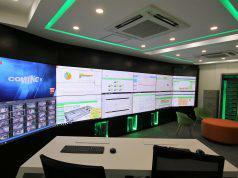 Also equipped with a real-time chatting feature, users can have engaging communication with the stars. With the ‘Star Following’ feature, users can follow the individual channels established for each celebrity group and receive alerts when their favorite stars start their live-broadcasting. Other additional features such as ‘Upcoming’ and ‘Chemi-beat’, allow users to stay updated for upcoming on-air schedules and have more interactive experiences with the stars.